After fielding the same question over and over, we’ve compiled a list of our favourite hostels in some of our favourite cities in Europe. If you absolutely must leave Prague, go visit ’em! If you’re looking to explore a bit more of the Czech Republic, Olomouc is a great stop. It may be smaller, but it’s equally as charming, beautiful and historic as Prague. Plus you’ll get a chance to experience Poet’s Corner Hostel! It’s an amazing hostel run by the very best kind of people – backpackers! Your hosts will go out of their way to make sure you are comfortable in the hostel and well-informed about the city and surrounding area. You won’t regret making a stop here! We love Budapest Party Hostels and go visit them as often as we can! With a choice of five hostels depending what type of hostel experience you’re looking for, there’s something for everyone. Regardless of which one you choose, you’ll find awesome staff, unique buildings and a super social environment that makes it easy to meet other travellers. Guaranteed good times, BPH makes it easy to forget the rest of the world, and you might just need a kick out the door if you want to see the rest of Europe! Greg & Tom Hostels offer travellers three different hostels to choose from, each with a unique vibe. For those craving a taste of home, try the original Greg & Tom Hostel, for those wanting to party, go with Greg & Tom Party Hostel and for those looking for something a little more unique with a live music pub, look at Greg & Tom Beer House. Whichever one you choose, you’ll find yourself in a great location with friendly staff and breakfast/dinner included. Mosquito Hostel is the perfect choice for travellers wanting a cozy and social hostel. There are tons of freebies thrown in (think free breakfast, dinner, shot nights and pub crawls) that encourage meeting and mingling between guests. Add to that the stellar location and fantastic staff, and you’ll find Mosquito is an incredible place to stay in Krakow! 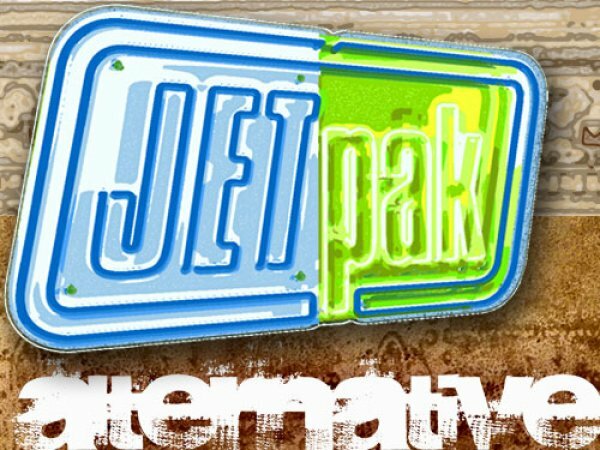 Located in the super-cool, alternative Kreuzberg area of Berlin is the awesome Jetpack Alternative. While this is not a party hostel, these guys still love to party – they just take the party to Berlin’s famous nightclubs instead of partying at the hostel. In other words, you can party hardy until the wee hours and still get a good night’s (day’s?!) sleep in clean, comfortable and quiet rooms. They say it’s not for the faint of heart, but if you’re looking for something a little different, look no further! Want to get away from capital cities? Need to feel fresh mountain air in your lungs? 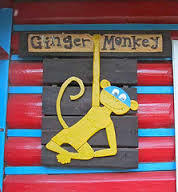 Nestled in the tiny village of Zdiar, The Ginger Monkey is the place for you! It’s set up like a big house with spacious rooms (dorms and privates) right in the middle of the High Tatras Mountains. The staff is very knowledgeable about the surrounding area and can recommend good hiking or skiing in the area. As an added bonus, the hostel dog Wally (who is quite possibly the most fun-loving, affectionate dog in the world) loves nothing more than to play and go for hikes with guests. The Ginger Monkey is the perfect place to recharge your batteries. Welcome to Amsterdam’s original boutique hostel! If you’re looking for a super nice, cozy hostel, look no further than Cocomama. 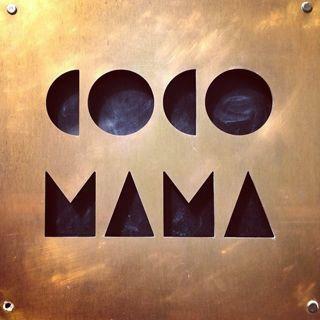 Conveniently located away from the hustle and bustle of the red light district, Cocomama is right by Vondelpark, Museumplein and only a short walk to Leidsplein, the main nightlife district. The staff at Cocomama goes out of their way to make sure you feel comfortable in their hostel and city – you’ll be hard-pressed to find a more welcoming, homier environment complete with their cat, Joop. 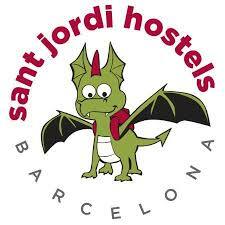 Hostelworld voted Sant Jordi Hostels Best Small Chain Worldwide in 2014 for good reason! With six unique locations in Barcelona, you can be sure to find one that suits your needs and personality. The staff at each hostel is all incredibly friendly and outgoing and arranges daily activities for guests. While each hostel has a different theme, you can rest assured that they are all kept very clean, have spacious rooms and modern facilities. An awesome choice in Barcelona, 360 Hostel has a really great, chill vibe. It has great facilities, including spacious rooms and a stocked kitchen. Along with its facilities and great location next to the central Plaza Cataluña, a big selling point is the incredible staff that will always go above and beyond to make sure you have a fantastic stay.